I've had a few of you mention that if you are not on Facebook or Instagram whether this competition applies to my blog readers??? Simply leave your favourite smoothie recipe below and share this competition with your friends so they too can go in the draw!! 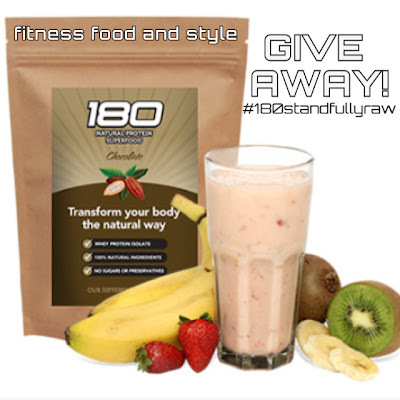 If you can't wait until I announce the winner at the end of the month, simply head to www.180Nutrition.com.au and use your exclusive 10% discount promo code 264464. A special thanks to Guy and Stu for sponsoring this giveaway for our #standfullyraw challenge, you guys are the best. If you haven't already liked their Facebook page. Please go HERE.